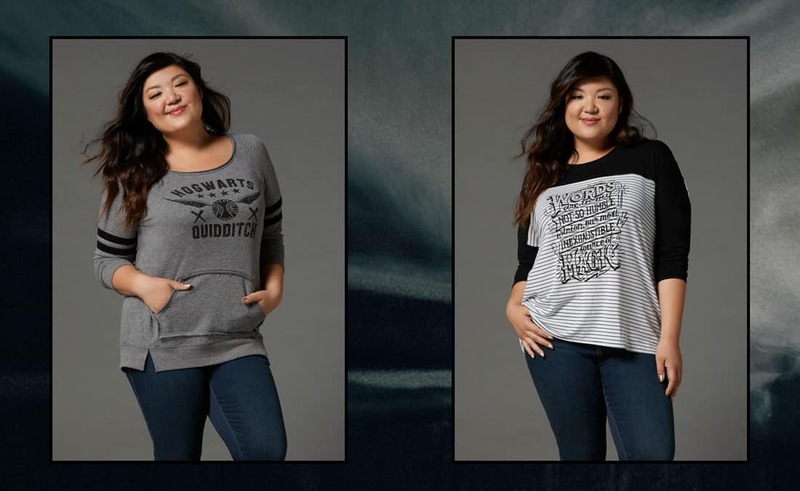 Harry Potter Collection Comes to Torrid | Nerd Much? 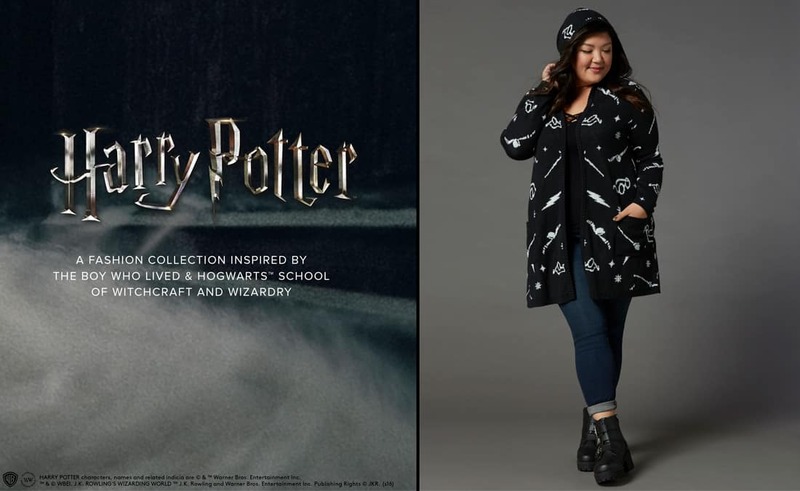 Everyone’s talking about Hot Topic’s upcoming Fantastic Beasts collection, so we’d like to show the plus-size fans some love and spotlight Torrid’s adorable new Harry Potter collection. 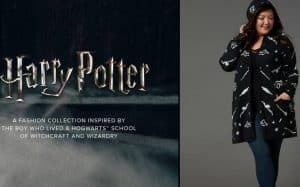 The collection includes the hooded Quidditch print cardigan featured above, a uniform mini skirt, Marauder’s Map print dress, plaid camp shirts in the four House colors, and more. Most items in the collection are online exclusives, however, the entire site is BOGO 50% off right now. 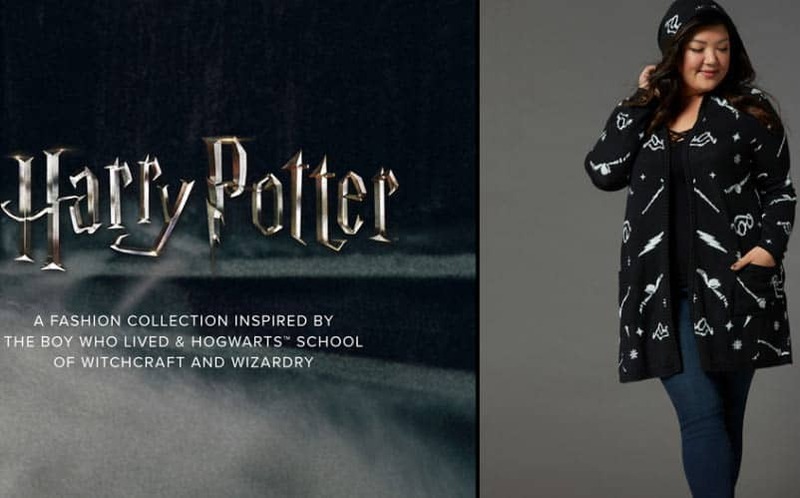 They’re not specifically Fantastic Beasts themed, true, but still absolutely amazing – especially that Deathly Hallows coat, complete with interior wand pocket and the iconic symbol engraved on the buttons. 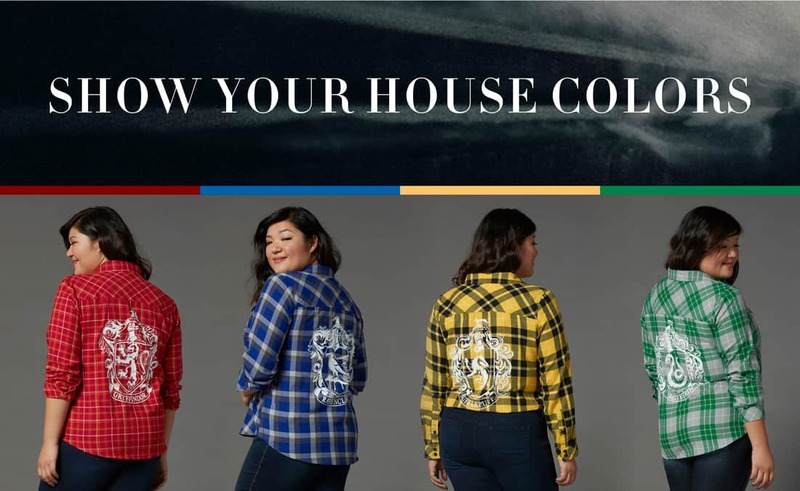 I love every single item in the collection; my favorite, however, may be the camp shirts; each comes in the colors of one of the four Houses with the crest on the back, and then there’s a black one for Hogwarts. Among those, of course, Hufflepuff is far superior (badger pride). Any of them would make a perfect nerdy holiday gift for the Harry Potter fan in your life, provided you know what House they identify with. 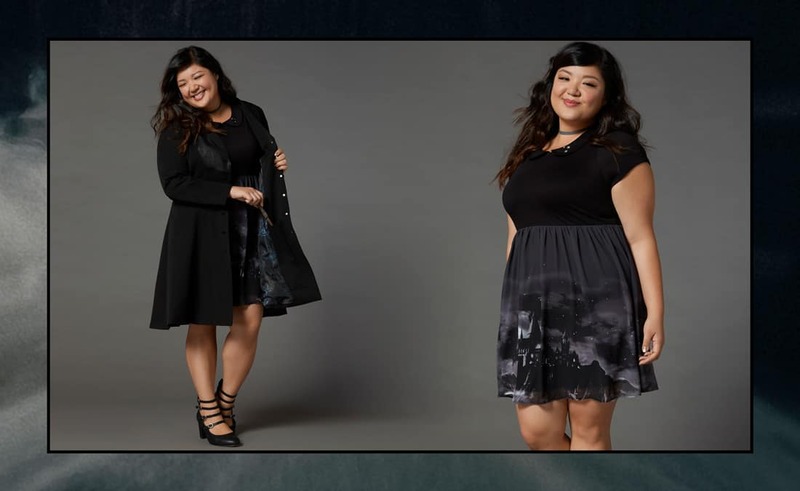 You can buy them all over at Torrid.